Hot Rod Ron's Checkered Strip – Event Production and Promotion of Hot Rod Cars, Culture and Lifestyle. “Hot Rod” Ron Carlsten of Checkered Strip Productions in Phoenix, Arizona and formerly Tucson, Arizona, is a custom car builder and hot rod culture broker. He has been building cars since 1984 and has built multiple cars, ranging from Volkswagen’s to Hot Rods, which have been featured in numerous magazines. “Hot Rod” Ron is in the know! He knows where the parts are; where the cars are; where the shows are; where the people are; and what events people need to go to! He has never met a car part he can’t find and has a unique ability to find parts that other people cannot find. “Hot Rod” Ron is the “go-to” person for car culture; he knows who is doing what, where they are doing it and who they are doing it for! “Hot Rod” Ron has a diverse background, ranging from hot rod art to hot rod music, that he brings to car culture. 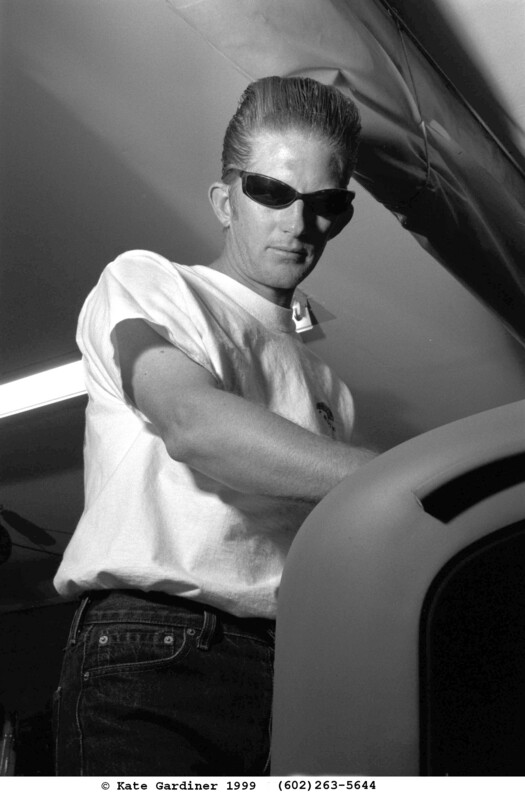 He has curated art shows at major galleries featuring hot rod art and hosted major annual car shows. Carlsten is a former radio disc jockey, having worked for numerous commercial and community stations in Tucson, Arizona. In addition, he has managed bands and was a club booking agent. Professionally, “Hot Rod” Ron is ICAR Platinum Certified (since 1984) and has a Bachelors Degree from the University of Arizona in Communications, with a specialization in Marketing, Media Arts and Sociology. Additionally, Carlsten is an experienced car appraiser, former production and parts manager, and has specialized knowledge in Hot Rods and high end specialty cars.